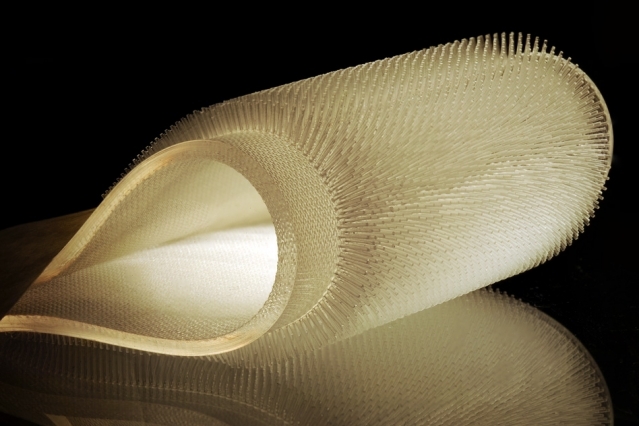 Scientists at MIT have designed a prototype furry wetsuit modelled on otters and beavers, who manage to dive and stay warm by trapping a layer of air in their thick fur. Read how this could mean the development of thinner and more flexible wetsuits for freedivers and how it works. 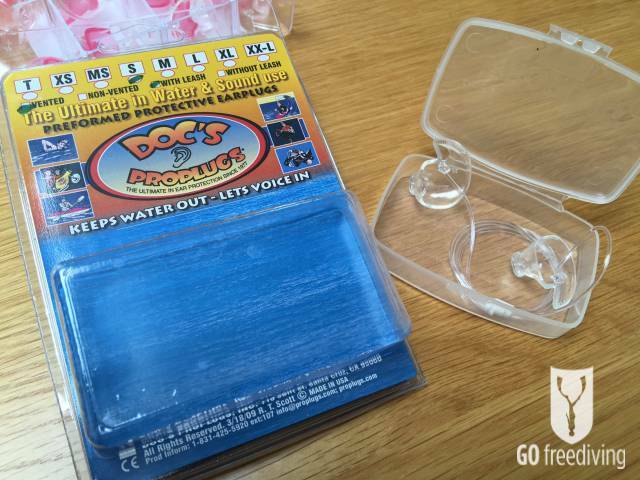 Doc's Proplugs for equalisation are one of my freediving equipment essentials. Even if I'm diving in Tropical waters I never freedive without them. 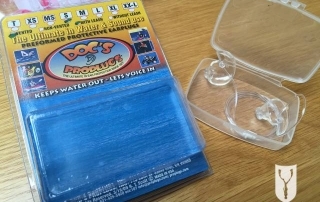 Find out how they work and how to get the right size to fit your ears. If you're a surfer, how can you keep your cool in big waves and hold downs? The London Surf club found out on our surf survival course and came away inspired and confident. 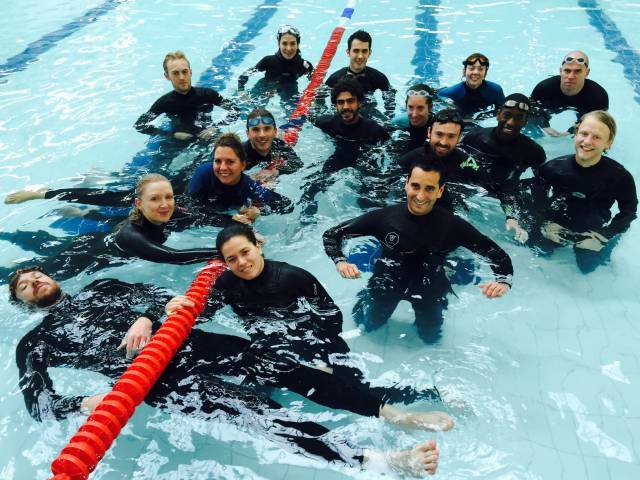 Heather Coutts, one of the Go Freediving Instructing team is an experienced surfer and took our surf survival course to the London surf club for the first time in 2015. 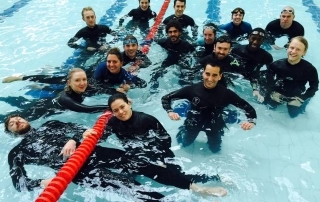 After fantastic feedback they wanted us back for more, and this time Heather was also joined by the head honcho of Go Freediving, Emma Farrell at The Rainbow Leisure Centre in Epsom, London.